BROOKVILLE's off-wire capable Liberty Modern Streetcar was honored as the Technical Innovation of the Year at the 2015 Global Light Rail Awards in London. On Sunday, October 14, 2018, the fifth of sixth PCC streetcar vehicles to undergo a complete overhaul and modernization program arrived at its destination in El Paso, Texas, marking the 50th PCC streetcar vehicle Brookville Equipment Corporation has delivered since entering the market in 2002, and serving as a fitting commemoration of a century of delivering custom-manufactured rail equipment to a host of industries for 100 years. Brookville Equipment Corporation (BROOKVILLE) was named Manufacturer of the Year at the 12th annual Global Light Rail Awards in London on Wed., October 3, 2018. BROOKVILLE celebrated its 100th Anniversary on Friday, August 3, with nearly 800 guests, employees, families of employees, friends, suppliers, and industry members in attendance for food, fun and games, equipment expositions, and facility tours. The first of five American designed and manufactured Liberty Streetcar vehicles arrived in Milwaukee for The Hop Streetcar the week of March 26, 2018, marking the fourth United States city to take delivery of Brookville Equipment Corporation’s (BROOKVILLE) signature modern streetcar vehicle platform. First of Six PCC Streetcars Returns to El Paso Following Restoration and Modernization Program at Brookville Equipment Corp. The first of six vintage 1937 Presidents’ Conference Committee (PCC) streetcars returned to the City of El Paso on March 19, 2018, following a detailed restoration and modernization program at Brookville Equipment Corporation’s (BROOKVILLE) manufacturing facility in Western Pennsylvania. Brookville Equipment Corporation (BROOKVILLE) delivered the first vehicle in an order for seven of its off-wire capable Liberty Streetcars to the City of Oklahoma City this week, making Oklahoma City the third American city to receive BROOKVILLE’s signature U.S. designed and manufactured modern streetcar vehicle since 2015. As part of BROOKVILLE’s centennial celebration, the company is currently seeking the community’s support in gathering historical data and artifacts, including photos and other relevant information, regarding its early history and products, which may be shared and used by the company in literature and other commemorative materials. Sound Transit and Brookville Equipment Corporation (BROOKVILLE) recently agreed to terms on a $26.5 million plus tax order for the design and build of five (5) Liberty Light Rail Vehicles (LRVs), which will support a 2.4-mile extension of the agency’s 1.6-mile Tacoma Link line. Brookville Equipment Corporation (BROOKVILLE) will manufacture a streetcar fleet for Valley Metro Rail after being awarded a $33 million contract to design, build and deliver six off-wire capable Liberty Streetcars for the Tempe Streetcar. Brookville Equipment Corporation (BROOKVILLE) delivered its fifth and sixth off-wire capable Liberty Streetcars to Detroit in March, wrapping up vehicle deliveries to the new QLINE streetcar line ahead of contractual delivery dates and prior to the QLINE’s recently announced May 12 start of revenue service. Brookville Equipment Corporation’s (BROOKVILLE) Rick Graham was recently promoted to President after serving for 14 months as Chief Financial Officer at the manufacturer which has a 99 year history delivering custom rail-mounted equipment, including streetcars, locomotives, and mining and tunneling equipment. Brookville Equipment Corporation (BROOKVILLE) was honored as ‘Highly Commended’ for the category of Manufacturer of the Year at the Global Light Rail Awards on Wed., Oct 5 at London’s Honourable Artillery Company. Brookville Equipment Corporation (BROOKVILLE) delivered the first of six off-wire capable Liberty Streetcars to Detroit’s M-1 RAIL this week for service along the QLINE – set to open in 2017 – nearly two months ahead of contractual delivery. Brookville Equipment Corporation’s (BROOKVILLE) fourth off-wire capable Liberty Streetcar departed for Dallas six months ahead of contractual delivery during the week of July 25, concluding manufacturing on an order of two option vehicles initiated in July 2015, which followed a base order of two vehicles delivered during the Spring of 2015. Brookville Equipment Corporation (BROOKVILLE) shipped its third of four American-manufactured Liberty Streetcars on order to the City of Dallas and Dallas Area Rapid Transit (DART) this week, marking the completion of the first of two vehicles ordered by DART in a contract option exercised in July of 2015. BROOKVILLE is delivering the first vehicle within 12 months of the exercised option’s Notice to Proceed and six months prior to contractual delivery. The City of Oklahoma City finalized a $24.9 million contract with Brookville Equipment Corporation (BROOKVILLE) on March 22, 2016, for the supply of five Liberty Streetcars to support the City’s MAPS 3 Modern Streetcar program. The American-made, electric streetcars will operate downtown along a 2-mile east-west loop and a 4.9-mile north-south loop. BROOKVILLE will kick off 2016 product exhibitions in Phoenix from Feb. 21-24 at the Society of Mining, Metallurgy and Exploration (SME) Annual Conference and Expo, followed by exhibits at freight rail and tunneling events in April. The City of Milwaukee and Brookville Equipment Corporation (BROOKVILLE) agreed to terms on November 13, 2015 for the supply of four Liberty Modern Streetcars to the city’s 2.1- route-mile starter line in a contract valued at $18,620,841, with an option for an additional 20 vehicles to support the system’s expected expansion and future development. As the first GP35R locomotive overhaul completed by Brookville Equipment Corporation (BROOKVILLE) entered service on Sat., Oct. 24 for Metro-North Commuter Railroad (MNR), the second unit (No. 107) began its journey back to New York, departing BROOKVILLE’s Pa.-based facility on Fri., Oct. 23, marking two major milestones in the seven-unit rebuild project. The Camino Real Regional Mobility Authority (CRRMA), working with the City of El Paso, Texas, has agreed to terms with Brookville Equipment Corporation (BROOKVILLE) for the complete overhaul, restoration, and modernization of six Presidents’ Conference Committee (PCC) streetcars originally manufactured in 1937. This agreement is for the forthcoming 4.8-mile El Paso Streetcar Project, which will return the City of El Paso’s PCC vehicles to service for the first time since 1974. Brookville Equipment Corporation (BROOKVILLE) earned the award for Technical Innovation of the Year for its Liberty Modern Streetcar, featuring an onboard energy storage system (OESS), at the ninth annual Global Light Rail Awards in London on Wed., Oct. 7. Brookville Equipment Corporation will exhibit at four industry events, covering every business unit the company serves, including mining, tunneling, freight locomotives, and commuter locomotive and streetcar products throughout September and October of 2015. The City of Dallas and Dallas Area Rapid Transit (DART) exercised an option on Thursday, July 9, 2015, for the delivery of two additional off-wire capable Liberty Modern Streetcars – extending a partnership with Brookville Equipment Corporation (BROOKVILLE) that began with a March 2013 contract for two identical vehicles, delivered in the first half of 2015. Detroit-based M-1 RAIL and Brookville Equipment Corporation (BROOKVILLE) agreed to terms on Friday, June 5 for the supply of six off-wire capable Liberty Modern Streetcars for the 3.3-mile Woodward Avenue line, set for delivery to begin in the fourth quarter of 2016, with a contract valued at $32 million. Brookville Equipment Corporation (BROOKVILLE) recently shipped two EPA Tier-4 BL12CG CoGenerationTM low-emissions switchers to Central California Traction (CCT), which will be utilized for freight haulage applications along the operator’s two short line rail corridors, including the Stockton Public Belt Railroad Network (55.9 miles) and the Central Valley Branch (14.9 miles) with service from Stockton, Calif., to Lodi and Sacramento, Calif.
DALLAS – Brookville Equipment Corporation (BROOKVILLE) delivered the first of two off-wire capable Liberty Modern Streetcars to Dallas Area Rapid Transit (DART) on Fri., March 20, 2015, marking the first-ever delivery of an American designed and manufactured off-wire capable modern streetcar to a U.S. transit agency for the downtown Union Station to Oak Cliff streetcar line, slated to open in April 2015. Brookville Equipment Corporation shipped an all-new highly-customized 88-ton diesel-hydraulic yard switching locomotive to the Puget Sound Naval Shipyard & Intermediate Maintenance Facility (PSNS&IMF) in Bremerton, Wash., on Monday, March 2, 2015, which will operate at speeds of up to 10 mph while performing heavy freight car haulage applications at the naval facility. Brookville Equipment Corporation recently shipped three 27-ton MSHA-permissible tunneling locomotives to the Walsh-Shea Corridor Constructors for use on the Crenshaw/LAX Transit Corridor Tunnel Project in Los Angeles. By design, the locomotives will reduce the risk of explosion due to geological conditions that may host the presence of methane and other combustible gases. Cal-OSHA has classified the tunnel drives on this project “gassy”, mandating the use of MSHA permissible locomotives. Brookville Equipment Corporation is slated to exhibit at four key industry events in the first half of 2015 in support its mining and tunneling equipment and freight rail products from February through June. Marion H. Van Fosson began his tenure as the President of Brookville Equipment Corporation (BROOKVILLE) on Monday, Dec. 8, 2014, and will oversee the Pennsylvania-based manufacturer’s long-term strategy and daily operations across all business units, including mining, tunneling, locomotives, and streetcar products. Brookville Equipment Corporation (BROOKVILLE) President Larry Conrad announced his retirement, effective immediately, on Monday, October 6, 2014, after a career that spans more than 35 years at the Pennsylvania-based manufacturer of underground mining and tunneling equipment, locomotives, and streetcars. Conrad will be replaced as president in the interim by his predecessor, Mr. Dalph S. McNeil, who also serves as Chairman of the Board and CEO of BROOKVILLE. Brookville Equipment Corporation (BROOKVILLE) and the San Francisco Municipal Transportation Agency (SFMTA) agreed to terms on Thursday, September 17, for the rebuild of 16 Presidents’ Conference Committee (PCC) streetcars, adding a minimum of 20 years of service life to the historic vehicles in a contract valued at nearly $34.5 million. New Orleans streetcar extension provides better access to citizens and visitors riding streetcars featuring BROOKVILLE propulsion systems. BROOKVILLE engineers, designs, manufactures, and delivers two new 17-man, diesel personnel carriers for use by Alabama energy customer in underground mines. Community Days 2012 in Brookville, PA provided another successful event and allowed Brookville Equipment to showcase a mining locomotive to generate a broader community awareness in its manufacturing operations. BROOKVILLE supplied four diesel locomotives to NYC's East Side Access project. BROOKVILLE Provides Stillwater Mining Company with New Diesel Locomotives. Stillwater Mining Company receives two new BROOKVILLE diesel locomotives to support their mining operations. Ohio Vintage Coal Co. restores vintage mining and related equipment. A 1962 BROOKVILLE locomotive was retored by this group. Check out this article to learn more and view a demonstration video of the locomotive! BROOKVILLE's unique ability to create custom designed equipment has resulted in a newly featured diesel-powered fuel buffalo. BROOKVILLE is on the leading edge of wireless power capabilities with its creation of two battery powered streetcars that incorporate non contact recharging systems. Brookville Equipment Corporation is introducing its new modern streetcar design, costomized to enhance unique transportation systems across the United States. Streetcar initiatives are booming and BROOKVILLE is definitely taking notice! BROOKVILLE strives to reduce the impact each piece of its equipment has on the environment by designing it to surpass current emission standards and include efficiencies that add the greatest value. BROOKVILLE develops Life Cycle Management (LCM) plans for its customers to offer turn-key service from product inception to retirement. A fleet-wide LCM program will maximize your equipment's profitability when the equipment has less down time. Brookville Equipment Corporation redesigns personnel carrier frame to fit a customer specific request. BROOKVILLE's CoGeneration™ locomotive received a great deal of publicity at a PR event in California. Old streetcars are being restored and modernized by Brookville Equipment using the unique skills of a once popular industry to put cars back into transit service in New Orleans, Philadelphia and San Francisco. 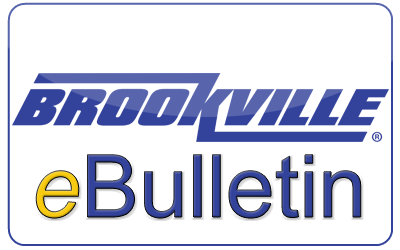 BROOKVILLE reopened its Pickering Street facility with an operation of 10 men accomplishing the production of small light-weight vehicles. BROOKVILLE is continually seeking to increase its mining manufacturing capabilities. Central California Traction Company (CCT) will be significantly reducing diesel emissions at their operations by using an Ultra-Low Emissions Locomotive (ULEL) from Brookville Equipment Corporation. The company’s recent growth has necessitated a new building project that will add additional production work space including underground work pits, equipment wash stations and a 100 foot paint booth. BROOKVILLE EQUIPMENT CORPORATION INTRODUCES NEW LOGO AND WEBSITE. Brookville Equipment Corporation (Brookville) has recently introduced a new logo and website, as the company has expanded its capabilities into Streetcar Manufacture & Remanufacture and the Commuter & Industrial Locomotive industries. Brookville Equipment Corporation recently launched a partnering company, Brookville Services, LLC. Brookville Services, LLC is a dedicated service group that was established to meet the growing demand for services and to uphold the high standard of customer satisfaction that Brookville has built its reputation upon. BROOKVILLE EQUIPMENT HAS STREETCAR FEVER. This past year has been one of many colorful and unique streetcars on Brookville’s production floor. San Francisco Municipal Transit Authority’s (MUNI) had contracted Brookville for two separate street car rehabilitation programs on part of its fleet of light rail vehicles. Every other year, Santiago, Chile, hosts a Mining Trade show called EXPOMIN.